Ashley Bickerton (b. 1959, Barbados) was a member of the Neo-geo group of artists in New York 's East Village at the end of the the 1980s alongside Jeff Koons, Peter Halley and others. He's lived in Bali since 1993. Ornamental Hysteria spans more than three decades of artistic production and features 51 of Bickerton's works, including new and previously unexhibited pieces. This is Bickerton's first show in the UK since 2009 and runs at Newport Street Gallery until 20 August 2017. 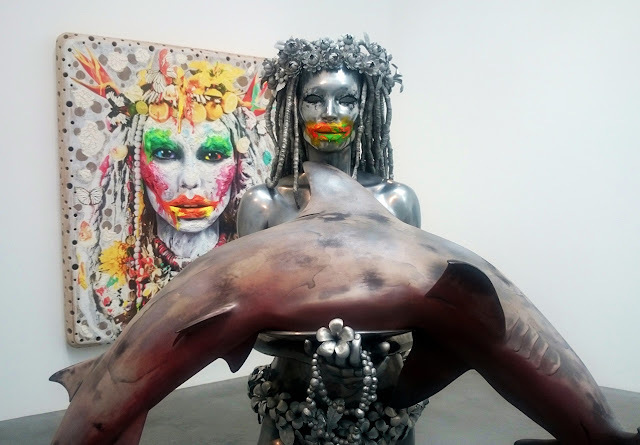 Ashley Bickerton: Ornamental Hysteria from ArtworldNow on Vimeo.